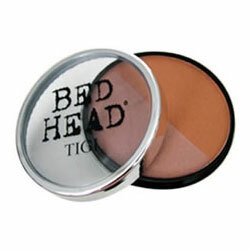 The TIGI Bed Head Glamma Bronzer is a duo coloured bronzer compact that allows you to mix and choose your desired shade as you like! Perfect for going on holiday to complement your constantly intensifying tan. Use each shade alone, or swirl together for that sun-kissed look.